A woman's body has been found at the bottom of a well. The death wounds are startling: two small punctures to the jugular vein. . . .
Vampire fever is spreading throughout the countryside, and suspicions soon fall on the recently arrived Emma Rimmele. Investigator Hanno Stiffeniis must do everything he can to find the true culprit before the mob hysteria reaches breaking point and turns violent. 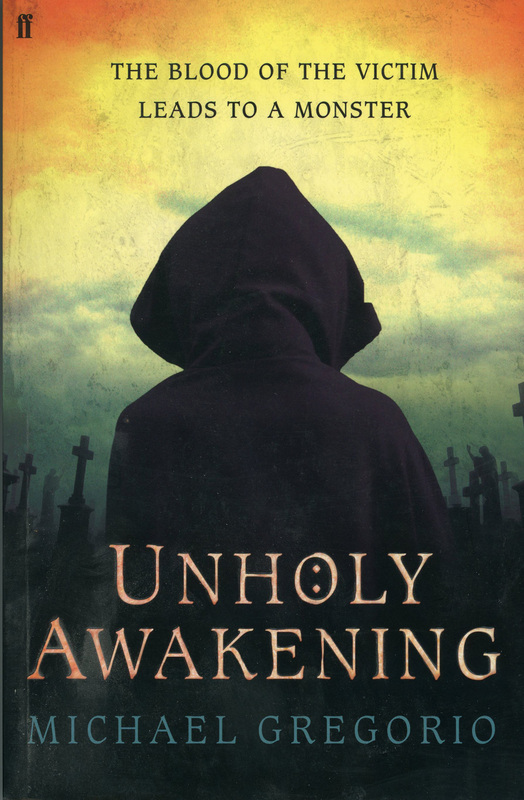 Set in a nineteenth-century world where many people truly believed in vampires, Unholy Awakening pits rational, scientific detection against unhindered, violent superstition. The publishers tout Unholy Awakening as a "dark, gothic, vampiric mystery set in 19th-century Prussia", and it's hard to argue with this summary. With their first book, Critique of Criminal Reason, the husband-and-wife team who are Michael Gregorio managed to shoehorn references to the philosopher Kant into a thriller scenario. That book was a sweeping piece set in the Age of Enlightenment, with Prussian magistrate Hanno Stiffeniis enlisting Kant to aid him in investigating a series of violent deaths in Konigsberg. It was clear that attention had to be paid to a major new talent in the period-crime field. Subsequent books (Days of Atonement and A Visible Darkness) have added lustre to the Gregorio brand. The reader of Unholy Awakening will notice fewer philosophical underpinnings in this gruesome narrative, but the powerful sense of time and place – and the minatory atmosphere – are in place. Unlike Gregorio's earlier work, the frissons here are more likely to quicken the pulse than stimulate the mind. But such is the level of storytelling that few are likely to miss that extra dose of intellectual reinforcement. And the fastidious Stiffeniis is bidding fair to be the most irresistible investigator in the field of bygone bloodshed.